The award nomination is for OEPS partnership with Dyslexia Scotland and Education Scotland developing a suite of courses on dyslexia and inclusive practice. The first online course, ‘Introduction to Dyslexia and Inclusive Practice’, was co-designed and developed in March 2017 and can be undertaken at a learners own pace in around 3 hours of study. To date 801 people have enrolled, with 149 badges earned for the first module so far. Aimed at practitioners and educators the free online course enables participants to understand and identify dyslexia and requires no financial outlay for employers or users. The course has been developed specifically with the Scottish context in mind as explained in this case study from Frances Ranaldi, Development Officer at Education Scotland. 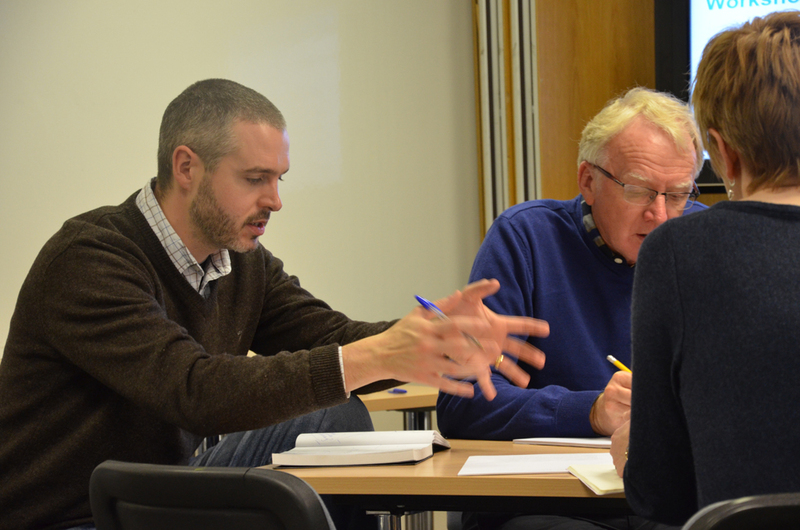 The badged course uses a reflective log to help learners develop their understanding of dyslexia and inclusive practice, covering topics such as current legislation and how to support those with dyslexia. Two further open courses (Supporting Dyslexia and Inclusive Practice and Dyslexia: Identification and Support) which build on the skills acquired in the Introduction to Dyslexia and inclusive practice course, will be available in September 2017 and January 2018, respectively. The courses form part of the Dyslexia Scotland / Addressing Dyslexia Toolkit collection of courses, which are linked to the OEPS Collection of free resources on open educational practices in Scotland. Both Frances Ranaldi and Pete Cannell will talk more about this partnership at our free conference ‘The Promise of Open Education‘ – come along to hear more about this innovative collaboration or join the conversation online before, during and after the free conference with hashtag #BeOpen. This is the first of what we plan to be weekly updates on the project’s partnership and outreach activity. Normally we’ll cover the last five days but this time we thought we’d include the previous week too! In the week beginning 23 February we had a number of discussions about using open educational materials to support democratic participation in Scottish society. We’ll be pursuing these in the coming months. Pete Cannell had an initial meeting with the Poverty Alliance and joined a discussion organised by Scottish Union Learning where we shared ideas about the development of Open Learning Champions with project workers from some of the main unions in Scotland. We also hosted the regular meeting of the OEPS Steering group where we reported on the progress of the project to date, including the plans for the OEPS hub website. A written report will be published on this blog shortly. Ronald was putting the finishing touches to a report on the work we have been doing with rural schools in the Highlands using OER and OpenScienceLab, in part prompted by the upcoming deadline for OER15 http://oer15.oerconf.org/ where we are presenting on Wed the 15th of April, and partly so that we can assess what worked within the pilot and look at the next steps. This week Pete met with the E-Learning Alliance and Pete and Ronald started discussions on how to produce an OER version of gender equality materials produced by the Teacher Education in Malawi project. Pete’s also developed a draft of a workshop and materials to support the development of Open Learning Champions which we will revise and refine following feedback from all those involved. Preparations for the OEPS Advisory forum on the 19th March are well in hand and we are looking forward to welcoming everyone who has signed up for this free event. We have space for a few more people to join us, so if you haven’t already booked your place, please register via Eventbrite. You can choose 2 of the 4 afternoon workshops to participate in as well as the project update and the keynote by Professor Laura Czerniewicz in the morning. For more information including workshop descriptions and the programme for the day, please read the Advisory Forum 2 blog post. As part of its mission to facilitate best practice in Scottish open education, Opening Educational Practices Scotland (OEPS) is holding its second Advisory Forum on Thursday 19th March 2015. The project launch and first forum was held in October 2014, and future forums are planned every 6 months. 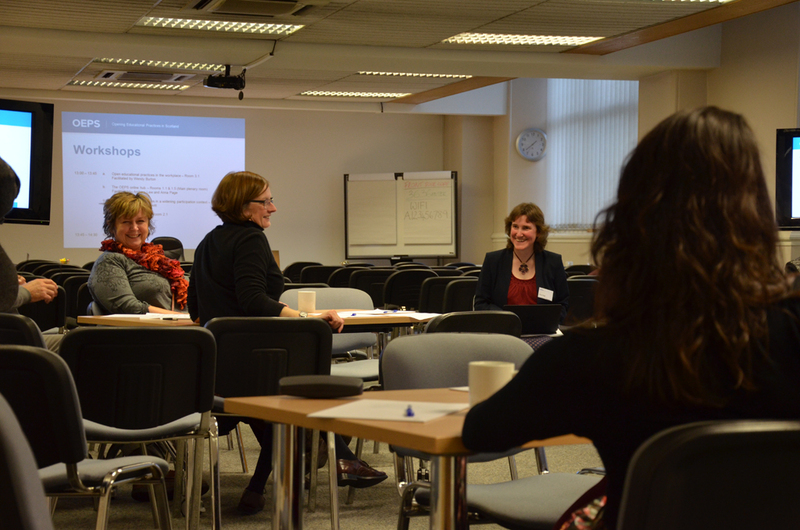 We ran a workshop on the OEPS hub at the advisory forum in October 2014 as part of the requirements gathering exercise for project objective C ‘Development of an online hub to encourage and share best practice in open education’. In early project team meetings and a brainstorming session we had come up with some features of the hub and I had worked these into a series of user stories. Andrew Law (Co-director of OEPS) and I decided to use the workshop as an opportunity to get user feedback from potential users on the user personas and stories to help us identify the priorities for development. We thought that the main user groups will broadly be Practitioners (practitioners/providers/researchers) and Learners (browsers/informal learners/students). Some user stories were relevant to everyone, some more important to practitioners and some for learners. 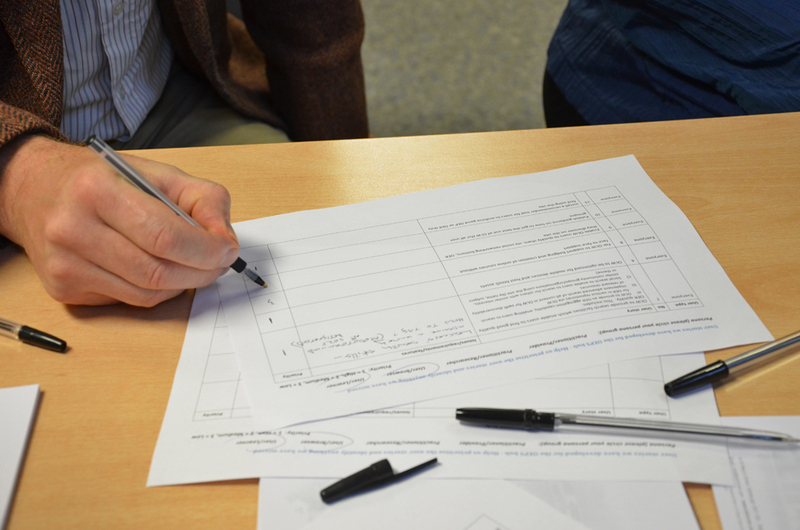 We asked each group to discuss the user stories amongst themselves from the perspective of Learner or Practitioner, make notes and try deciding if they were high, medium or low priority. Each group gave a brief summary of their discussions and asked questions. I had explained earlier during the OEPS project team panel session that the existing OpenLearn Works platform http://www.open.edu/openlearnworks/, which provides a free public space for people to run their own free learning projects, will be further developed to fully support the OEPS hub. Planned features include adding content on good open educational practice including case studies, clearer guidance on creating and uploading OER and improvements which support communities and organisations to make the most of OER (which will include improving the user profile features, better search functionality and a recommender tool). Other important features include making the platform mobile friendly, interoperable with other platforms and technologies and support for alternative formats. The workshop gave a little more detail about these aspirations and naturally triggered plenty of questions. What became clear from the discussions at both workshops was that people needed reassurance that the hub will not be just another repository (which most wouldn’t find, especially if their default search tool was Google) when there are plenty of OER repositories available already. Existing repositories are not necessarily known about by those new to OER and therefore some might be suffering from low usage. Instead the hub aims to introduce people to the concept of open educational resources, how to use OER in practice and connect users with each other. It also aims to re-aggregate search of existing OER repositories such as JORUM, Re:Source and Solvonauts. This means the hub will need to facilitate the building of strong supportive communities of OER users and provide those communities with sandpit space for them to experiment with OER. People were very concerned that the OEPS hub would not be a silo, instead it needs to be a pool of connectedness and some people saw it as a node rather than a hub. Others cautioned us to ensure that the development of communities supported by the OEPS hub will need to come from grassroots development and growth, because such communities are likely to be much more successful than top down initiated communities. The concept of a sandpit space for practitioners was embraced. One group pointed out that we had missed a persona group who have the ability to make considerable contributions to the hub – the learning technologists. This user group may want to contribute tools and code towards the further development of the hub to benefit both learners and practitioners, possibly via a learning technologist community space in the hub. The recommender tool concept was extended – in one workshop it was pointed out that a star rating wasn’t sufficient for users whose primary goal is to find or recommend good OER – there needs to be a facility for people to feedback on how an OER had been used and what people are doing with it. This wasn’t explicit in the recommender tool user story, though had in fact already been identified as necessary functionality by the IT analyst. Most teachers would evaluate the quality of a resource before using it themselves, so finding a trustable practice-based resource which others had used successfully in their particular context was really important to them, and community building would help inform their choices of OER. People were less sure about the updates needed to the existing profile functionality, unless this development was integral to the community building feature of the OEPS hub and were keen to allow users to login using a third party profile. The project team are discussing the outcomes of the OEPS hub workshops as we work towards the first IT developments to bring these aspirations for an OEP community space for Scotland into reality. Caring Counts is a self-reflection and planning course developed with and for carers. Working with carers and carer’s organisations, The Open University in Scotland has developed a badged free online course to support carers to reflect on their caring journey and identify the skills and abilities they have gained and continue to gain in their caring role. The course features the stories and experiences of a range of carers from very diverse backgrounds and caring circumstances, who share their lives in text and on film. Users have the option of completing a series of quizzes to gain a digital badge marking their achievement in completing the course. This course is for carers of any age and at any stage in their life or caring role, it is flexible and adaptable to fit into your training and support programmes. As well as helping carers recognise and value their skills and experiences and suggest opportunities for learning and other ideas for personal development, the course includes detailed information about career planning for those thinking about employment, or those thinking about returning to work and/or study that they may have had to put on hold. Learners can gain a Caring Counts digital badge which recognises their learning through completing online quizzes that lead to a digital badge that acknowledges successful course completion. Digital badges are a useful way of demonstrating participation and recognising informal learning. The OU in Scotland are working with a range of partners at national and local levels to support carers and carers centre staff to make full use of the course as well as to develop professionals’ knowledge and understanding of carers’ experiences. You are welcome to explore the course and share details about it with others, or talk to the course team about opportunities for training and development and how they might be able to support you to make the best use of this free online resource. The Open University supports carers in a range of ways, which you can read about in this leaflet designed for carers http://www.open.ac.uk/blogs/LearnDevDist/wp-content/uploads/2014/07/OU_Carers_2014.pdf – the OU in Scotland are sending copies of this leaflet to carers centres across Scotland. The Opening Educational Practices in Scotland (OEPS) project is pleased to welcome you to our blog. 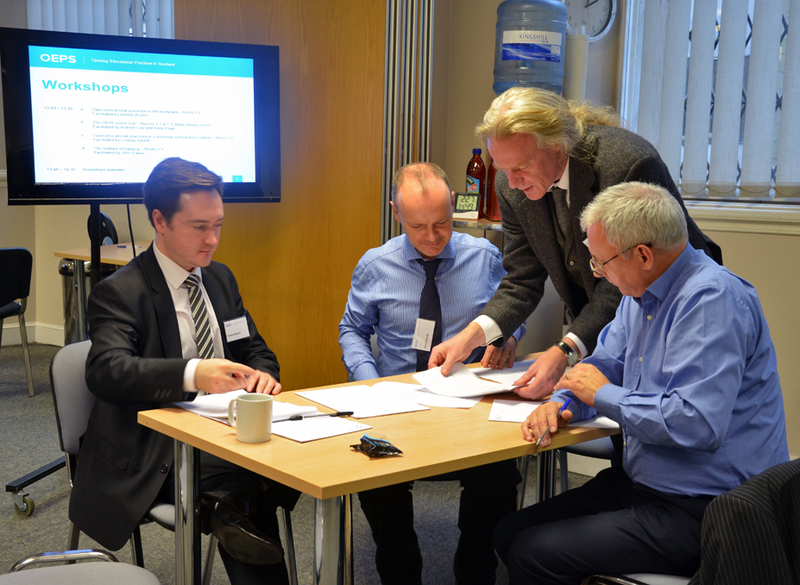 OEPS aims to facilitate best practice in Scottish open education. It plans to enhance the Scottish tertiary education sector’s capacity and reputation in developing publicly available and licenced online materials, supported by high quality pedagogy and learning technology. Funded for 3 years by the Scottish Funding Council, this project provides an opportunity for the higher education sector in Scotland to build on its collaborative ethos and establish a support network for best practice and innovation in developing open educational resources (OER). There is a great deal of activity already going on in Scotland but it is often fragmentary and is not widely recognised or understood. OEPS plans to build on existing work and resources, acting as a catalyst for developing a strong Scottish identity in Open Educational Practice. OEPS will contribute to the new QAA Scotland enhancement theme on transitions. It will also facilitate working across boundaries to develop new forms of engagement between higher education and third sector organisations, unions and employers. The opportunities opened up by online resources raise important questions of equitable access and social justice, as use and participation is not automatic just because OERs are available. The open educational practices (OEP) around development, use and reuse of OER can be more important than the content. Working in partnership with organisations in the workplace and community settings, OERs can be used flexibly to offer new pedagogically sound models of learning and make them more accessible. High quality online content is necessary but not sufficient for OER to contribute to widening participation. We will focus on practice and how can we make effective use of content, for widening participation, transitions and supporting social and economic priorities. OEPS will attempt to model the principles embedded in the Open Scotland Declaration, and it also aims to bring communities of practice together. This means joining learning technologists with widening participation practitioners, linking both to educational developers and all concerned with enhancing student learning. The project is organised around six themes: widening participation, rural sustainability, transitions, schools, cross sector and economic priorities. It has eight primary objectives which include sector wide analysis; events (awareness raising); online hub and development test bed for Scottish OER; targeted new or reworked content; quality, accreditation and badging; developing the concept of ‘open’; developing an evidence base and evaluation of economic models. The creation of a space in OpenLearn Works that will provide a sandbox for development across the sector. 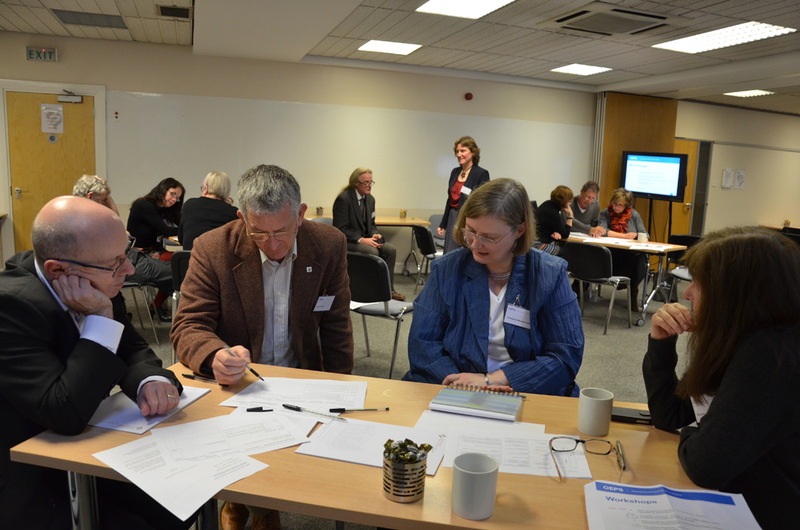 Exploration with HEIs and sector wide bodies into developing new materials and practices in the areas of energy, sustainability, marine science, NHS and Social Services. These discussions are at various stages of maturity but are likely to involve both the creation of targeted content and partnership work to improve take-up of existing content. The launch on June 9th of a new, badged OER for Carers, created in partnership with carers and carers organisations. This is the first badge carrying the imprint of the OEPS project (it will be available in the early summer). Development of additional material for the Self Directed Support OER produced by the OU with support from the Scottish Government. The launch of a new OER on rural entrepreneurship and plans to pilot approaches to working with SMEs in the Highlands and Islands and South West Scotland. The production of a series of Badged Open Courses (BOCs) on using OER, widening participation and employability which will be available to the HE and FE sectors for use and re-versioning. Production of a scoping report on the state of play with OEP in Scotland. Development over summer 2014 of a series of good practice case studies that will be shared through a variety of media including the OEPS website. We welcome your comments and contributions to Opening up Educational Practices in Scotland. You can email us at OEPScotland@open.ac.uk and oepscotland@gmail.com or join the conversation by responding to this blog. Unless otherwise stated the work on this site is licensed under a Creative Commons Attribution 4.0 International License.